News Archives - Page 3 of 60 - Anderson, Indiana Speedway - Home to the World's Fastest High-Banked Quarter Mile Oval! 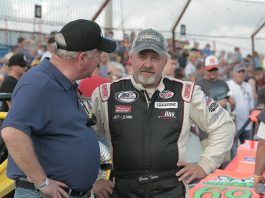 Winning proved to be twice as nice for Indianapolis driver Eddie VanMeter during the Tom Wood Stock Car Festival at Anderson Speedway. 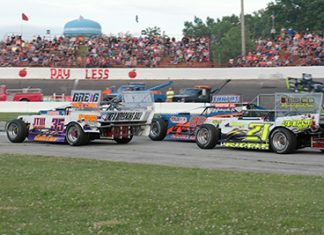 Cold temperatures and the threat of rain forced the rescheduling of the Tom Wood Stock Car Festival to this coming Saturday with the promise of clear skies and seasonal temperatures in store for racing in 12 different divisions. 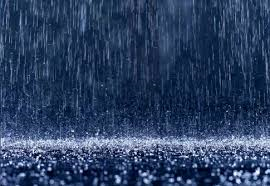 The open practice scheduled for tonight, October 26, has been canceled due to rain. 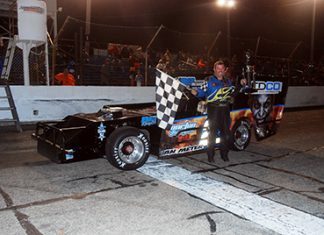 Anderson Speedway returns to racing action on Saturday, October 27 with the Tom Wood Stock Car Festival presented by Delmolino Plumbing and EDCO Welding, featuring 11 Divisions of Feature Excitement including Outlaw Figure 8’s, McGunegill Engine Late Models, Vores Welding and Steel Street Stocks, Midwest Champ Carts, Indy Faskarts, ThunderCars, Legends, Marcum’s Welding Front Wheel Drives, Front Wheel Drive Figure 8’s, Thunder Roadsters, Pro Compacts, and Hart’s Auto Figure 8’s. 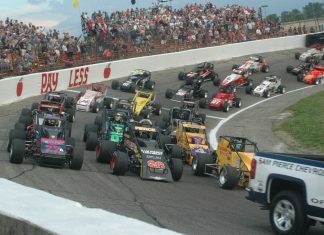 Gates will open at 11:30am with Racing at 4pm. 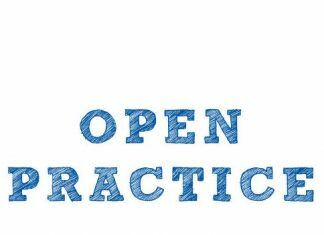 Adult admission is $15, Kids 6-12 $4 and 5 and under are free. 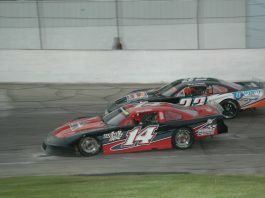 Anderson Speedway officials have made the decision to postpone the practice scheduled for Friday, October 19 along with the Tom Wood Stock Car Festival presented by Delmolino Plumbing and EDCO Welding scheduled for Saturday, October 20 due to the forecast of cold temperatures, rain and high winds. 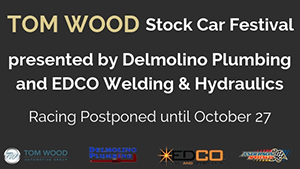 There will be an open practice for all competitors on Friday, October 26 and the Tom Wood Stock Car Festival presented by Delmolino Plumbing and EDCO Welding will be ran on Saturday, October 27. 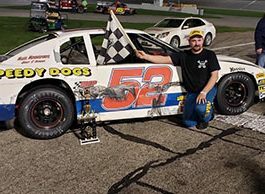 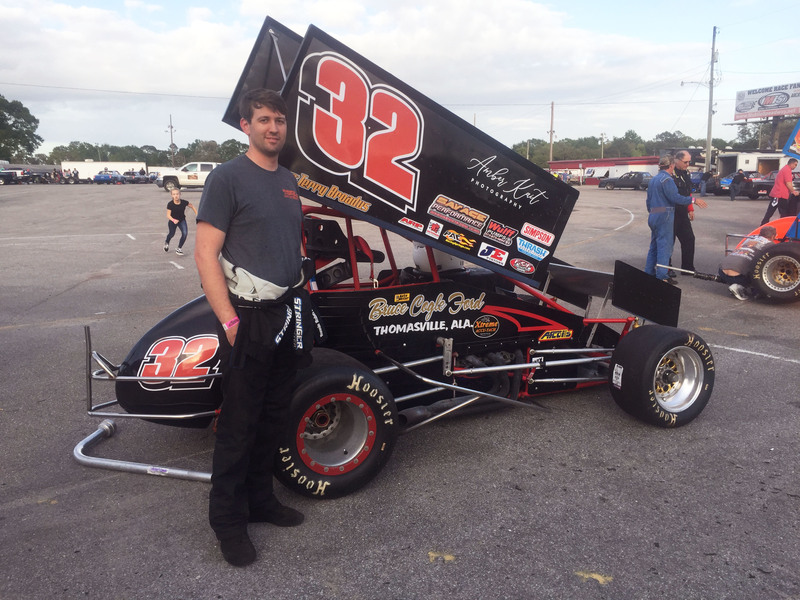 Plymouth racer Tyler Roahrig couldn’t image standing in victory lane at Anderson Speedway after winning the third annual Tony Elliott Classic on Saturday. 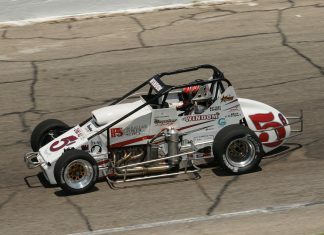 Who will earn the third Tony Elliott Classic Trophy? 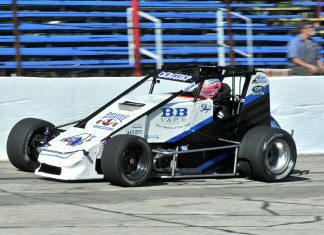 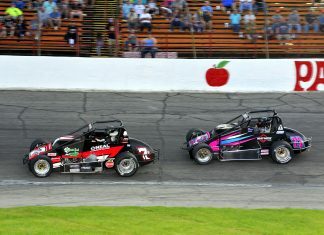 A strong field of 29 drivers will be vying this Saturday at Anderson Speedway to earn the victory in the Third Annual Tony Elliott Classic Trophy for non-wing sprint cars. 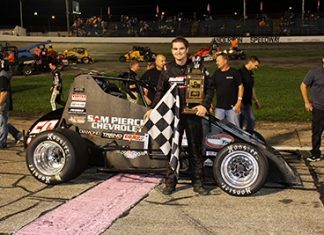 Last year Aaron Pierce won the 125-lap feature event with Kody Swanson claiming the win in the inaugural event in 2016.